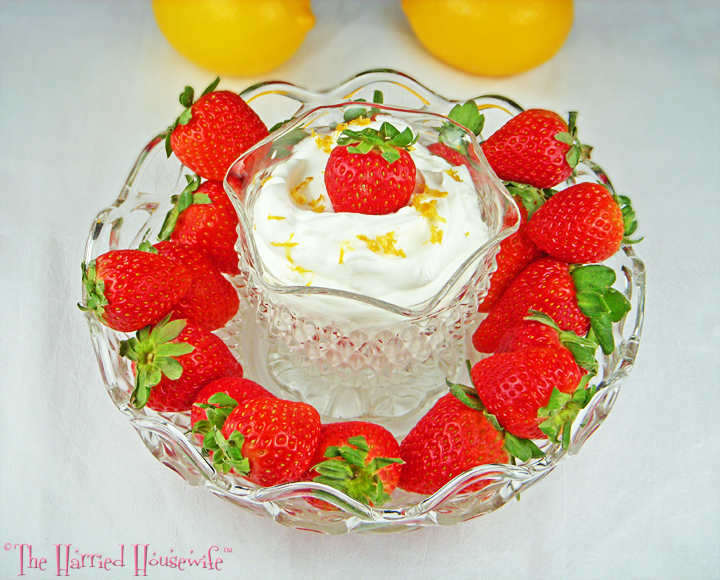 Brighten your day and savor the fresh taste of lemon by whipping up a zesty dip everyone will enjoy. A luscious addition to a wintertime brunch menu, this crowd-pleasing recipe appeals to both children and adults. 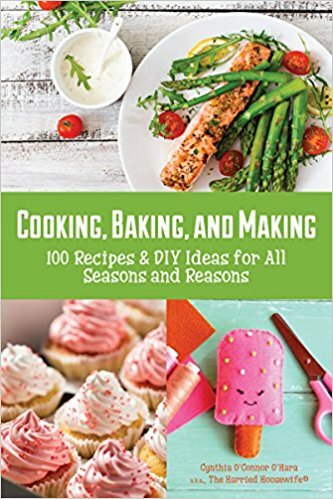 Perfect for time-crunched cooks, it can be prepared in a matter of minutes and also is ideal for making ahead. Just cover and store in the fridge up to two days in advance. Serve with a variety of fresh fruit—and savor a light and refreshing recipe that’s as welcome as a ray of sunshine in the heart of winter. Looking for a satisfying side dish that will perk up mealtime but doesn’t require a lot of time on preparation? Then this refreshing recipe is for you. 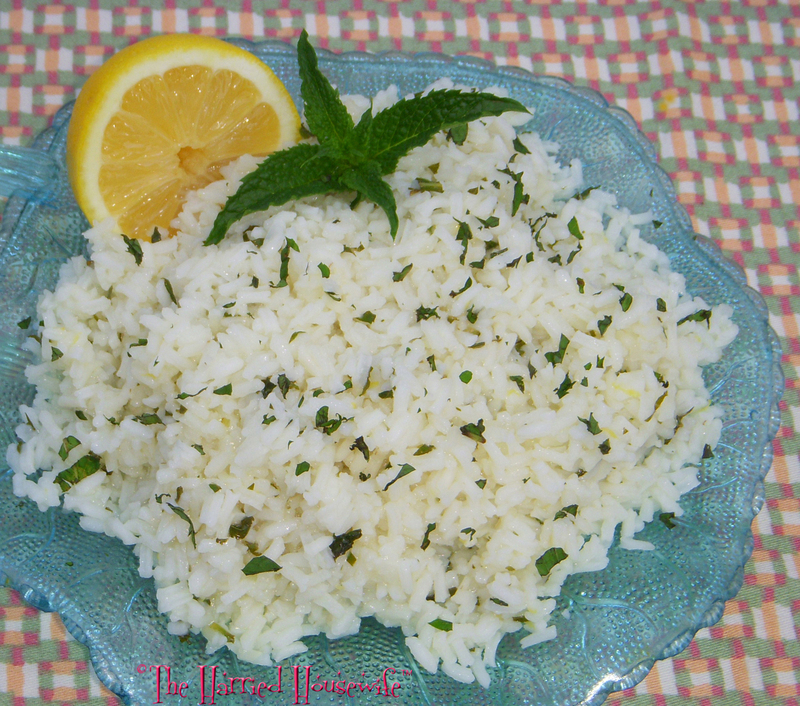 Sprinkled with garden-fresh mint and seasoned with zesty lemon, instant rice gets a savory boost in a matter of minutes. Perfect with any grilled entrée, this quick to prepare recipe will make it easy to spend less time in the kitchen and more time in the great outdoors. Enjoy! In a medium saucepan, combine water, butter, lemon zest, bouillon, onions, and salt. Bring to a boil. Stir in rice, lemon juice, and 1 tablespoon mint; remove from heat. Cover, and let stand 10 minutes. Stir in the remaining 1 tablespoon mint. Makes 4 servings. Looking for easy and elegant appetizers for springtime celebrations? 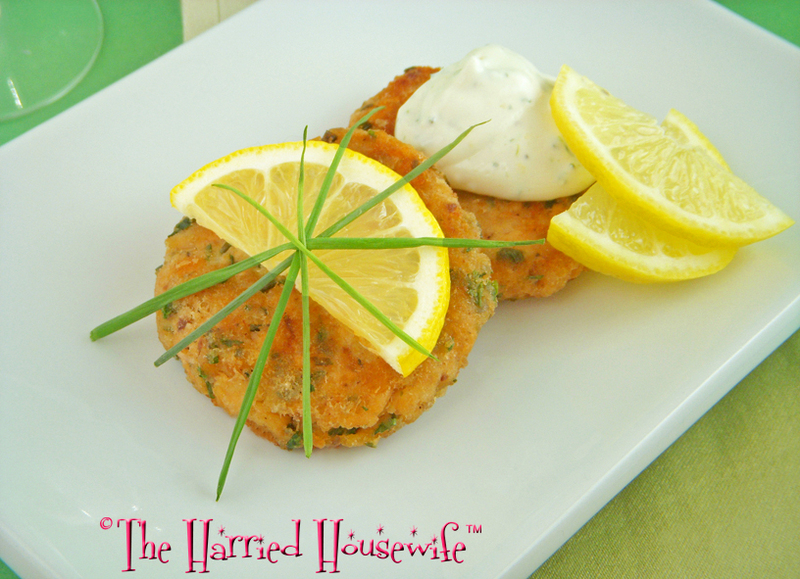 Then these flavorful hors d’oeuvres are for you. Quick to prepare, these yummy starters make good use of canned salmon. And while they are a tasty prelude to dinner, the mixture can be shaped into four bigger patties and placed on buns for mouthwatering sandwiches that are perfect during the Lenten season. Whichever way you choose to savor them, these flavorful cakes make it easy to get hooked on canned salmon. Happy Spring! In a medium bowl, combine egg, mayonnaise, heavy cream, lemon juice, chives, parsley, salt, and pepper. Add salmon and bread crumbs; mix well. Shape into eight patties. Heat oil in a 12-inch skillet until hot; add patties. Cook over medium heat until golden, 3 to 4 minutes per side. Squeeze lemon wedges over patties and/or serve with Lemon Herb Sauce, if desired. Makes 4 servings. In a medium bowl, combine all ingredients. Cover, and refrigerate at least 1 hour. Makes 4 servings. Both lemonade and iced tea will cool down the sultry days of summer, but why not combine the two, add freshly picked mint—and savor the ultimate in hot-weather drinks. Garden-fresh mint steeped with tea combines deliciously with zesty lemon for the ultimate in refreshing taste. Make it extra indulgent by muddling a bit more mint, sugar, and lemon juice in each glass and adding a shot of rum along with the tea mixture. Keep the tea mixture cold in this practical pitcher from Oneida that’s just right for outdoor entertaining. 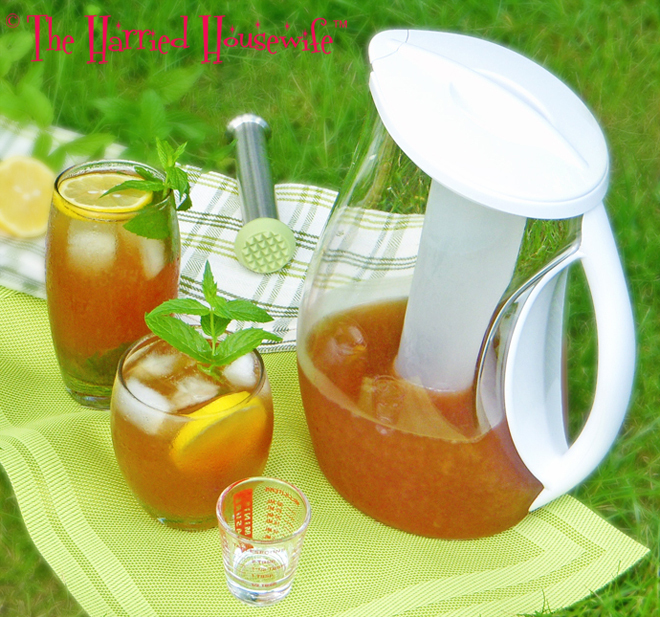 One thing is certain: A glass of Lemon Mint Iced Tea is the perfect drink for sipping on a beautiful summer day. Lemonade is good enough on its own, but it’s easy to add a tantalizing twist to this summertime favorite with the addition of maraschino cherries. Jarred maraschino cherries and a bit of their juice combine deliciously with lemonade for a seasonal drink that’s great for entertaining. To ensure outdoor gatherings are a breeze, use this Oneida iced pitcher and store in the fridge until right before serving. The fruit infusion rod that’s in the middle of the pitcher is ideal for layering lemon wedges and maraschino cherries to add extra flavor to this drink, but you can infuse water or just about any beverage with your choice of fruit and stash in the fridge until ready to serve. 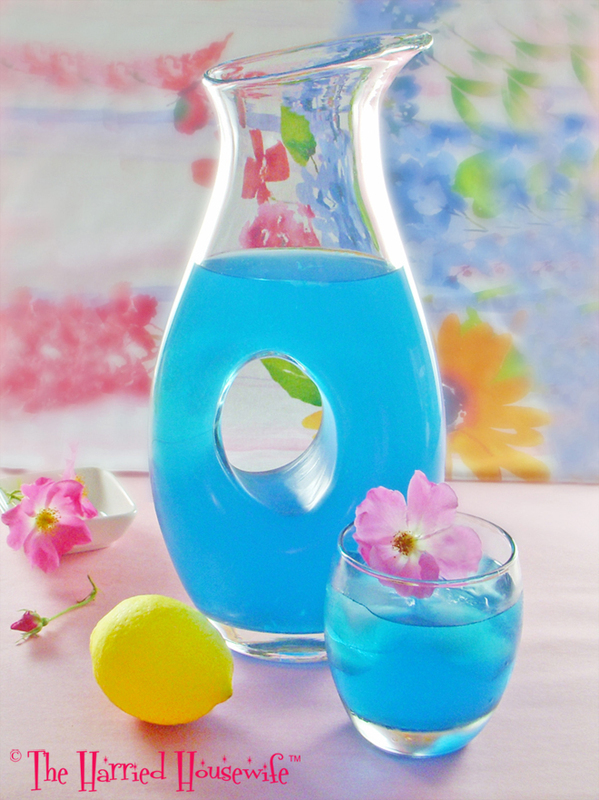 Refill the pitcher as often as you like and replace the fruit every 7 to 10 days. For adults, add a splash of vodka to your glass before serving if desired. When it comes to enjoying every drop of the fleeting days of summer, this crowd-pleasing recipe and the fruit infusion pitcher make it easy. 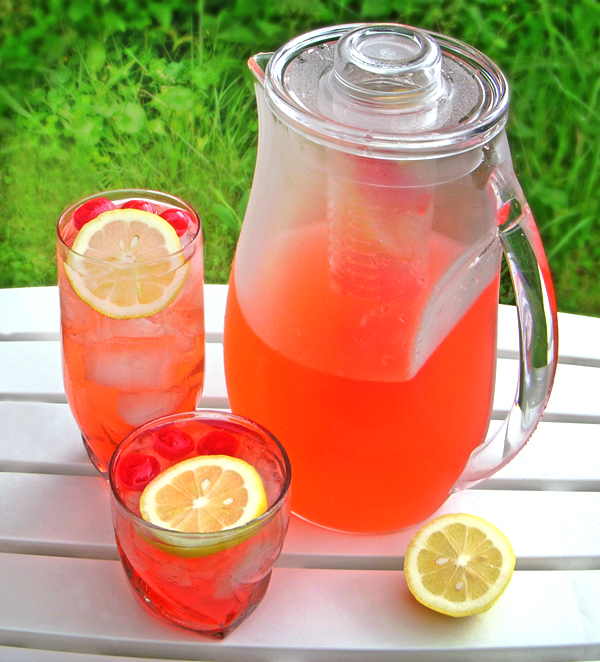 In a large pitcher, combine drink mix, sugar, water, cherry juice, and lemon juice. Add lemon wedges and maraschino cherries. Place ice cubes in glasses; pour cherry lemonade over ice cubes. Makes 8 servings.